60+ Color/Substrate Options Direct from the ADA Sign Factory! Get custom signs that say exactly what you need to say! 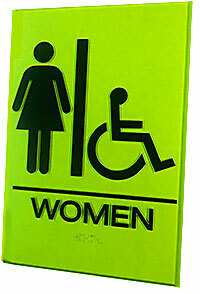 The ADA Sign Factory can create custom signs in just about any color, size and material. Match the look of our in-stock ADA signs with customized versions to get a consistent appearance throughout your building. Use our stock signs for the most common requirements, but then create custom acrylic signs to add any words or graphics required for your space. An appealing, affordable solution. 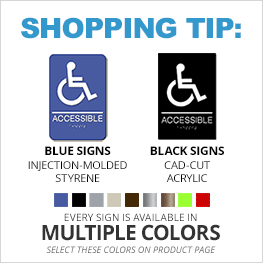 Or outfit your entire building with custom ADA-compliant signs in a completely unique color or material! 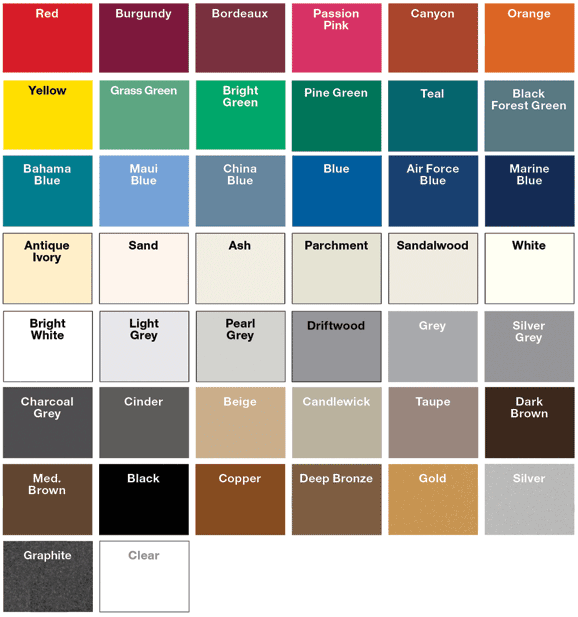 Make an architectural statement: check out all the different colors and substrates below. The specs on our custom signs match our stock ADA signs: 1/32" tactile symbols; wording with Grade II Braille; all signs with double-sided pressure sensitive adhesive for mounting. White letters/graphics on the dark sign backgrounds; black letters/graphics on the light color substrates. 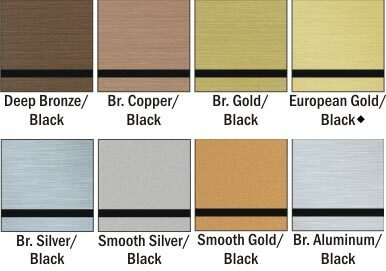 1/8" substrate available upon request; pricing and lead time may change with certain options. Typical lead time for custom signs is two weeks. After receipt of your custom sign order, you will receive drawings of your sign(s) for approval or changes prior to fabrication. The ADA Sign Factory also offers two options for the look of brushed metal signs in any custom size and graphic: MetalGraph acrylic signs that look like brushed stainless steel, copper, aluminum or gold; and REAL Coated Brushed Metals in an even wider assortment of brushed sheets! Create custom signs that glow-in-the-dark! Save the cost of electrical hook-ups! The ADA Sign Factory offers the acrylic substrate called LaserGlow that can be configured as needed. LaserGlow is specially engineered to exceed the photoluminescent standards set by many municipalities and organizations, including New York City Local Law 26. A non-radioactive flexible plastic substrate, it is the ideal choice for exit, emergency and wayfinding signage. Just let us know the graphics required and we will provide a LaserGlow sign quote based on your needs! A complete customized solution for all your interior and exterior way-finding needs! Vista Systems manufactures modular signs specific to your needs: Wall Frames, Flag Signs, Directory Signs, Table Stands, Double Sided Pylons, Suspended Signs, Post Pylons, Triangular Pylons and the incredible Vista Light signs. ADA Sign Factory is an authorized Vista Systems Ambassador. Vista and its Modular Curved Frame Technology means it's easy to create a consistent style for your entire project. Easy to update, upgrade, and maintain quickly, with a contemporary euro design. Available nationwide at a great price and igh quality; 100% guaranteed! 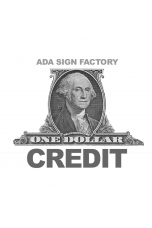 A $1 ADA Sign Factory credit that can be used for the payment of a custom sign quote, service or other non-inventory items. Si..